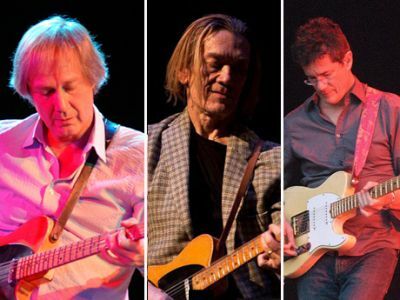 With three of the most prolific rock guitarists in the world, including GE Smith (Roger Waters, Bob Dylan, & SNL band), Jim Weider (The Band & Levon Helm Band), and Jon Herington (Steely Dan), this is sure to be a historic night of blues, roots, and rock & roll. Playing tunes from Roy Buchanan, Little Richard, Steely Dan, Lee Dorsey, Bo Diddley, Sam Cooke, and more! Jim Weider, a master of classic telecaster guitar, is renowned for his rock and blues-based signature sound. He is among a select group of musicians with an endorsement from Fender and, for the past three decades, he’s earned enormous respect from fellow musicians and music fans throughout the world. Born and raised in the famed arts colony of Woodstock, NY, Jim received great acclaim during his long tenure (1985-2000) as lead guitarist (replacing Robbie Robertson) for Rock ‘n Roll Hall of Fame inductees, The Band. During 15 years of international touring with original members Levon Helm, Garth Hudson, and Rick Danko, Jim was featured on numerous albums, films, videos, and television appearances. Highlights included a 1990 performance with The Band and Ronnie Hawkins at The Berlin Wall concert produced by Roger Waters of Pink Floyd; several cable TV specials (notably “The Bob Dylan Tribute” at Madison Square Garden; “The Road,” and “This Country’s Rocking”); a performance and recording at the “Unofficial Blue Jean Bash” for President Clinton’s 1993 Inaugural Ball, with special guests Bob Dylan, Steven Stills and Dr. John; a 1994 pay-per-view concert telecast from the Woodstock ’94 Festival; and a 1995 appearance on the A&E Biography documentary “The Authorized Video Biography The Band” for cable TV and video, released by ABC Video. 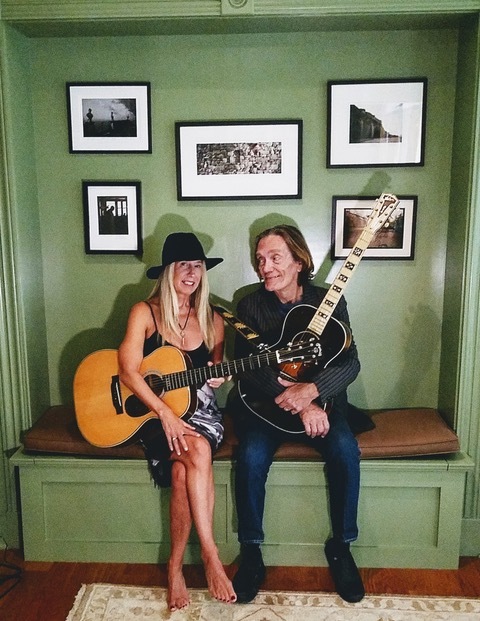 Jon Herington is a longtime New York city based guitarist, singer/songwriter, producer, and bandleader. 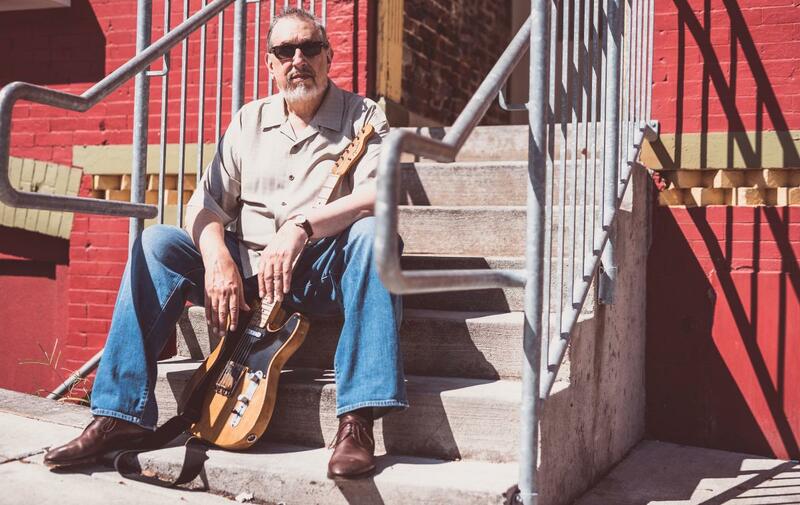 He is the leader of the Jon Herington Band and has been the guitarist of choice with the iconic band Steely Dan for both recording and touring since 1999. With the launch of Adult Entertainment, Jon now has five solo releases in his discography. His previous release, Time On My Hands, was nominated for Vintage Guitar Hall Of Fame Album of the Year. His guitar work with Steely Dan can be heard on their recordings Everything Must Go and Two Against Nature (both the CD and the live DVD) and on the Steely Dan VH1 Storytellers and Making of Aja DVD releases. Jon was also featured as lead guitarist on the Dukes of September Rhythm Revue’s Live at Lincoln Center DVD.